1916 Rising Commemorations - Seir Kieran's N.S. 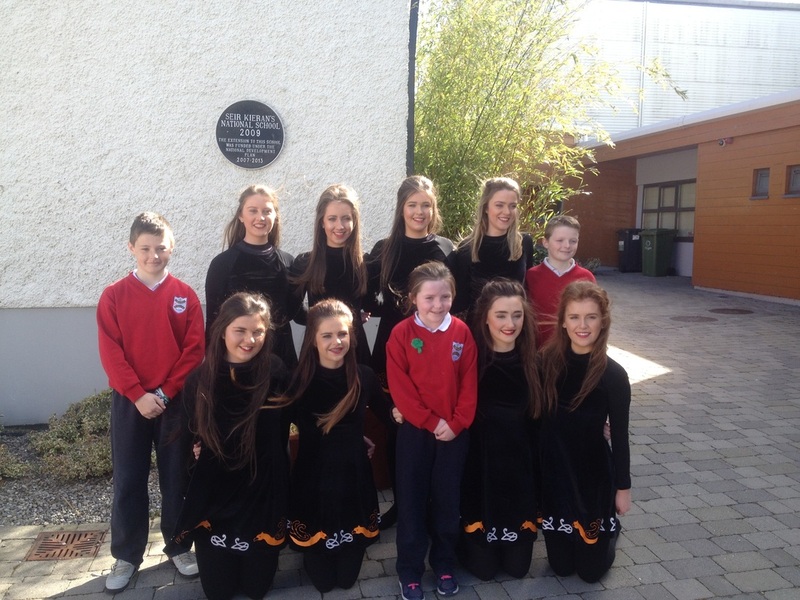 On Tuesday the 15th of March, the students of Seir Kieran's national school held an event for the Centenary in remembrance of the brave men who fought for Irish freedom during the 1916 Easter Rising. Each class had a different part to play in the day. The 5th and 6th classes told us the timeline of the events of the rising itself. 3rd and 4th classes informed us on the seven signatories of the proclamation. The 1st and 2nd classes then gave a lighthearted account on what it is to be Irish. This was followed by the infant classes who told us about our flag and why it is coloured green, white, and gold. Then the tricolour was raised by our oldest student who was present, Luke, and the youngest student who agreed to do it, Odette. Then 6th class student Denise read out our schools own version of the proclamation, while Alanna played the harp in the background. The students did an excellent and respectful job in commemorating the men and women who fought and died for our country during the 1916 Rising, and we congratulate them for all the work they put into the day. The day was kicked off by the Callanan Ryan team, who competed in the World Dancing Championships 2016 in Glasgow, where they came 17th. 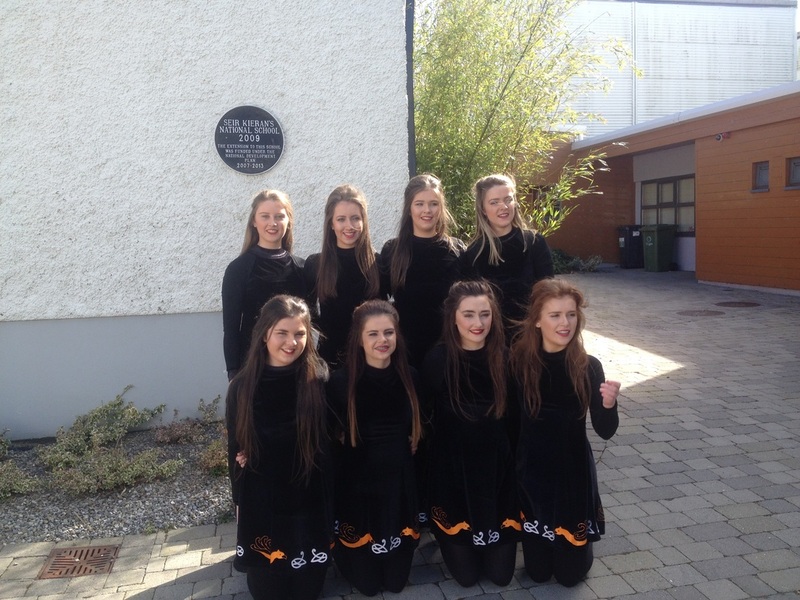 The girls performed two of their dances in Clareen hall. The team consisted of 4 past students, Aoife K, Margaret, Dearbhail, and Aoife G. Current students Conor, Stephen, and Sabrina all had sisters dancing. The school are very grateful to them for taking time out to come and perform for us, and are very proud of our past students. We wish them the best going forward in the future. In this video, the students from 5th and 6th class gave the timeline of the events from before, during, and after the 1916 rising. The timeline was very informative and all students worked very hard in researching and learning about it. In this clip, we have the students from 3rd and 4th classes telling us about the seven signatories of the proclamation. They all had a photo of the person they had researched, as well as a copy of the original proclamation. Again, all the students worked very hard and put in a lot of effort into their research of the signatories. Here we see 1st and 2nd classes putting a bit of humour into the ay with their take on what it means to be Irish. From Irish butter, to the weather, from GAA to tayto's, the two classes covered everything! In this video, the infant classes told us all about the Irish flag. They told us what each colour of our flag represented and performed incredibly well, and we congratulate them on all their effort. Following the visit by the Irish defence force, and receiving the Irish flag, it was raised proudly by our oldest student who could attend, Luke, and our youngest student who agreed to help, Odette. All classes then sang our national anthem in both Irish and English. For almost all the students to know both the Irish, and the English version of our national anthem is incredible and they sang it beautifully with pride. To finish up the day, 6th class student Denise read out our own version of the proclamation. While she read, Alanna played the harp. 'Denise worked hard on the proclamation, and Alanna played the harp beautifully. It was a fitting end to a great day.